The Archos TV+ is a fifth generation device for recording TV and playing back video, music, photos and also streaming media wirelessly from your PC as well as browsing the internet from your television. Now as I only have one PC directly connected to my ADSL modem, I have no need for a wireless set up. I don't need to browse the web from any other room, so I was intrigued to find out how the device would work without a Wi-Fi system. The box has no power switch, but does have a small reset button on the back. There is a large selection of phono connectors, which with the supplied leads go to a single SCART connector for input, and another for output. There is a network socket and an HDMI socket as well. On the front is it very sparse, with only a few LEDs behind a flat panel, plus an infra-red receiver. A slip supplied with the device suggested a firmware upgrade, which I downloaded from the website. It was an AOS file, which I copied to the device via a USB key, as there is a USB socket on the side. Using the file browser page on the Archos TV+ I ran the update, but I couldn't see any major difference to the device. I then copied some AVI, MPG, WMV, MP3, JPG and SWF files to some relevant directories via a USB cable. The device appears as an external hard drive to the computer, and it is a fairly standard procedure to copy files across. When copying mp3 files a dialog did appear saying that m3u files were not needed by the device and they did not need to be copied. These are playlist files usually generated by Winamp. When all the cables were plugged into my television, I switched on the device and pressed OK on the remote control when a picture appeared. I then had to set the country, screen ratio, time and date. After this initial set up I browsed to the music page and played some mp3 files. The cover art is shown if present in the file but there is no visualisation to generate a moving display. 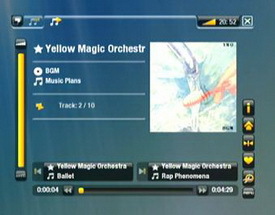 You can read file information about the mp3 playing, and return to the main menu page with the music playing in the background. Photos are displayed with a nice fade between the pictures, and you can zoom in or out of the image. It can display JPEG, BMP or PNG picture formats. There is no card reader slot to plug in your memory card direct from your camera to view your photos. My Panasonic DVD Recorder has an SD card reader for exactly that purpose, and most digital cameras come with a cable to plug it into your television via a phono lead connection. I then tried to play some flash files, but the SWF files lost several frames. I couldn't use any form of a pointer to click on a link (like a start button). In fact I couldn't use any of the 'mouse' functions on the left-hand side of the remote control. Video played back full screen by default, so I had to change to the original ratio to see the complete picture for most files. WMV version 8 files cannot be played, and neither can MPEG files without the plug-in. Even though it has an HDMI socket, it only displays up to DVD resolution (for the UK, 720x576). At the time of writing I didn't have an HD TV to test this. Most files played fine, but one avi file crashed the box every time I tried to play it. The file played fine without any problems on my PC with Media Player 11. It also didn't like a QuickTime movie file that I had downloaded from the Apple website, saying that the frame size was too big. Smaller framed video files fill the screen fine. 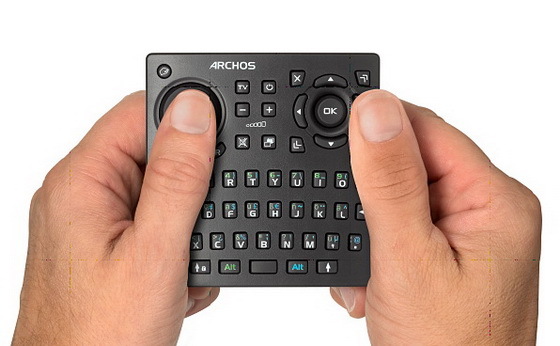 To record television programs, you have to plug in a device with a tuner into the Archos TV+, which will then control it and switch it on to record from. Setting the TV Control was quite complex. Firstly, I had to choose Digital TV for my Panasonic Freeview box, and then go through five codes to see which one would set the power to 'off'. Then I had to set the upper channel number and the machine tested for a channel change code, but without seeing the display from the Freeview box. The code seemed to work for one box, but when I connected the Archos TV+ to another identical Freeview box, it did not work. No TV tuner means that the box has to connect to another device and try to control it using the phono to SCART cable. If a TV tuner was included then it would have been a lot easier. A pass though for the signal from the Freeview box (or satellite receiver) would have made the set up procedure simpler, but this does not work until the TV set up has been switched on. As the device is supposed to act like a PVR, I tried to record from the television signal of the Freeview box, but the TV set up must be activated by registration on the Archos website. As I had no Wi-Fi connection to browse the web from the device, I had to download some ArchosLink software onto my PC and update that through my normal internet connection, then sync to the device using a USB connection. When the TV setup was activated, updating the program schedule, to set the timer to switch on the TV device (in my case the Freeview box) for timer recordings showed no listings. 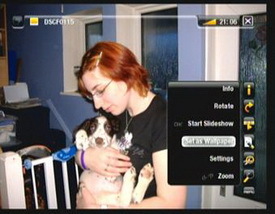 With just the Freeview box switched on, the pass through signal was displayed in the wrong screen ratio, but recorded correctly and when played back was shown at the right screen ratio. There was far too much information on screen when recording, and although you can pause and continue a recording, which can be renamed later on, when you hide all the screen info so you can actually watch the channel there is no indication when you pause the recording in this mode. Even on a VHS recorder you get a pause symbol on the screen, but not on the Archos TV+. The device includes a version of the Opera web browser, but you need to buy the plug in to get it to work. The full qwerty keyboard on the remote is so you can type in web addresses and such, but as I tend to download software and pictures, or text from a web page to use elsewhere, I prefer to browse the web from my PC. The remote control was a bit fiddly, and I tended to use most of the buttons on the right, with none of the keyboard buttons (as no browsing is available without a Wi-Fi connection). It has two battery compartments for each of the AA batteries, evenly balanced to make the remote better to hold. 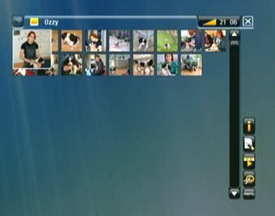 You have a choice of themes for the whole interface, and you can set a wallpaper from any video or picture. The Archos TV+ can also read PDF files, which is handy as the help files included on the built in hard drive are PDFs. The manual has more information than the printed guide. Listen to audio podcasts, free audio files downloaded from the internet in AAC or M4A format. Play back free video files downloaded from the internet with .mp4, .m4v or .mov extensions, encoded with H264 video codec and sound track in MP3 or AAC format. Play back videos on and from your ARCHOS in DVD quality: MPEG-2 format (vob, .mpg and .ps extensions). Multi-language supported. Listen to 5.1 sound on your home cinema system through the SPDIF output (through the DVR station). Open up your ARCHOS device to the full power of the Internet with a full-fledged Internet browser. Surf the Web from any WiFi hotspot. Watch videos from shared video web sites such as Daily Motion on your device. Adobe Flash sites supported. That's nearly an extra £53 to pay to get the most from the device, which I think is a bit of a con. The Archos TV+ comes with either an 80GB (£169.99) or 250GB (£239.99) hard drive. 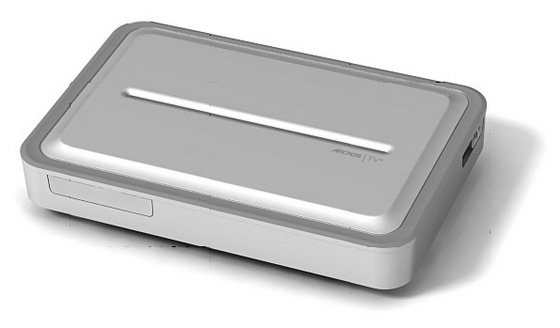 As an alternative you can buy a media player hard drive enclosure with a card reader for £40 from Maplins, which combined with a 250GB hard drive (£55) would be a lot cheaper. It wouldn't record from TV or be wireless, but I have a DVD recorder and I couldn't test the wireless part of the device anyway. If you want to wirelessly stream content from your PC, you need to have a working Wi-Fi system to 'add' the box to. I spent a couple of hours trying to use the network cable to connect to my PC, but I was unable to get it set up. I ended up attaching the device to my PC via the USB socket, which has a slide cover for both types of socket, USB Slave (USB B) and USB Host (USB A). I could then copy files across and then plug the device into my television. DVD players are quite versatile these days and can read JPGs (so you can view pictures from a CD or DVD), play mp3 files and some can read different format video files (like DivX) and play them back without having to convert them to an MPEG2 DVD compatible file. Still, the Archos TV+ did play most files smoothly (after the plug-ins were installed) even if the original file was in the NTSC format, or had a different number of frames. I couldn't test all of the features of the device, but I found that some parts of the interface made doing simple things more difficult. Video playback and photo viewing was fine, but recording from a TV signal was complex to set up and would have been simplified if a TV tuner was included. 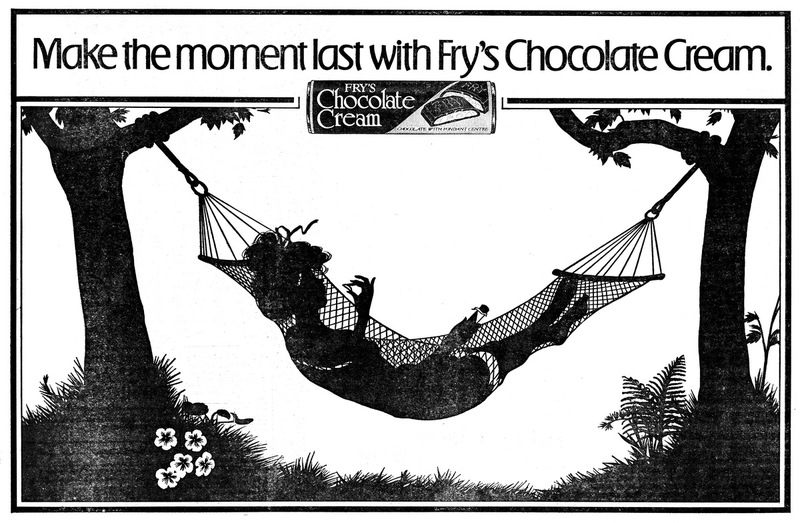 The mp3 playback was okay, but there were no visualisations, only a static screen with the cover art. Without the wireless features the web browsing is not available; the flash files I did use did not playback properly, and I couldn't get any interactive to work with them either. Maybe another firmware update could correct this, but overall I was disappointed with the Archos TV+. It just about did the job, but it wasn't very intuitive.